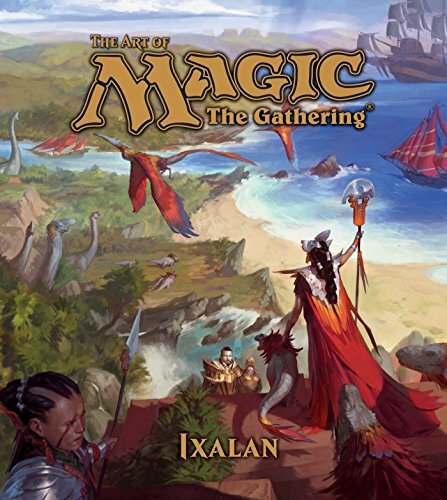 You don't really need to be a fan of Magic the Gathering to enjoy the breathtaking artworks featured in this book. MtG has truly pushed the boundaries of just how beautiful fantasy art can be. These are some of the best, if not the best fantasy art from any IP that I've known. The latest book features the art from MtG's Ixalan expansion block. The worlds, characters and creatures created by the artists are incredible. The art that appear on the cards are small. In this book, you get to see the artworks reproduced huge. And many of them are worthy to be featured in museums. If there's no MtG museum, someone should set one up. I've featured all the previous MtG artbooks, namely Zendikar, Innistrad and Kaladesh. They are all must-buy for fans of MtG and fantasy art. For the price of less than US $30, you get a large 240-page hardcover that's packed with awesome art, you don't need me to tell you that it's a terrific deal. This is one of 2018's best artbooks.